We left Paris early in the morning on the high speed train to Strasbourg, where we rented a car to drive to the villages that the European patchwork was taking place. It was so beautiful and quaint! This amazing beauty! 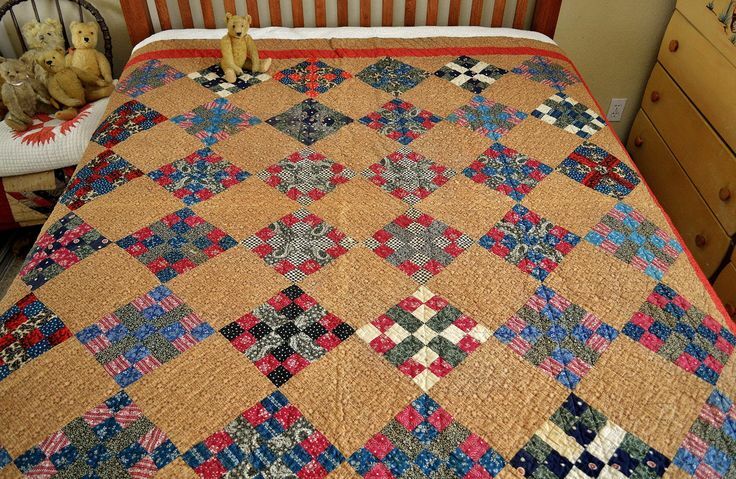 These were the " Quilts de Legende" Reproductions of antique quilts. They were all masterpieces!! I was so thrilled to see these in person. This is the border from the quilt above it. It looked like tapestry fabric. I was intrigued. These were tiny baskets. I adore that pink print too! The workmanship was amazing- all hand done! The villa behind Rene was where one of the exhibits was. 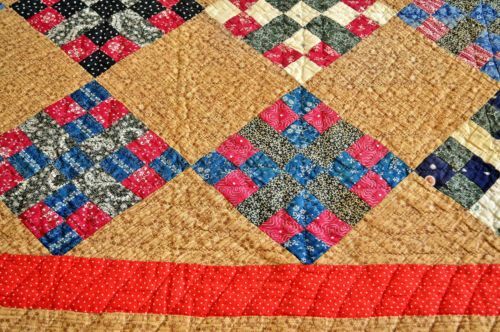 Most of the churches were open with quilt exhibits. A view from our kitchen window in Thannenkirch. As you can see our pace slowed a bit from Paris. The hidden gem of Thannenkirch is considered the zone of tranquility and silence. We couldn't get enough of the beauty of the countryside! 11 contemporary artists created their own interpretation of an antique log cabin. Uh, I didn't get any photos of the contemporary versions, only the antiques! LOL Enjoy! I was organizing some quilt show photos to post and thought I'd post some of the random photos I took. My daughter was the driver of our rental so I got to take a lot of photos! These are all in the area of Alsace. We thought the ends of the buildings were very interesting. If anybody knows why they are different and patterned I'd love to know. So much of the quilt show is modern and art quilts displayed in these amazing churches. I live on the west coast of USA and do not see these gorgeous stained glass. The door on the right was the entrance to our apartment. The dwarf door on the left was storage for laundry, bicycles, and supplies. I found it interesting that many restaurants look like they had added toilets. These were separated by a thin wall and had a shared washing space. Alsace is also the wine region of France having its own "wine route" to drive. We tested many varieties! 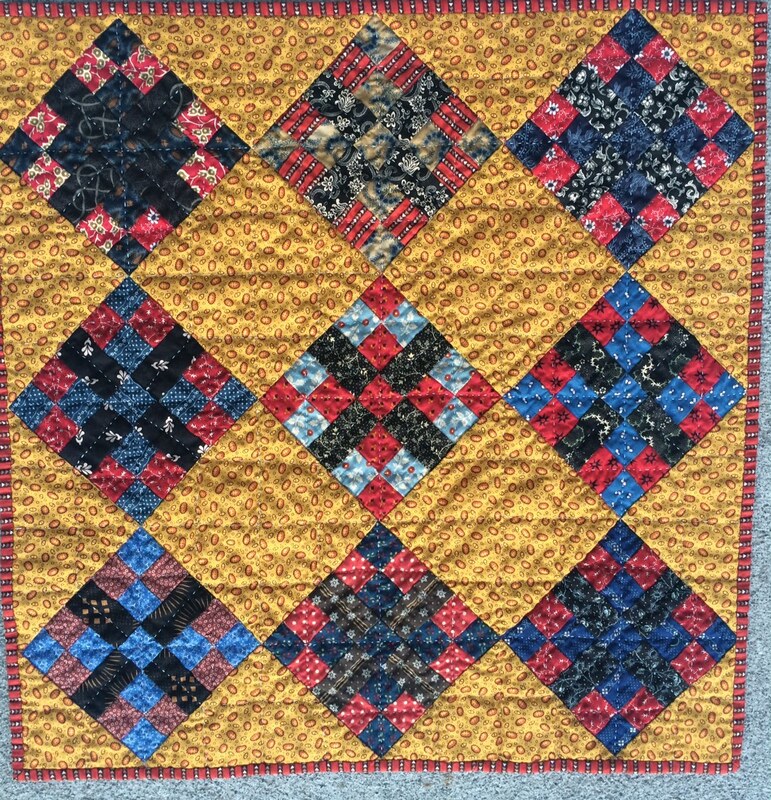 Here is my Country Roads little quilt finished. I love it and the cheddar/gold is perfect for fall here in Central Oregon. You ready to finish yours? 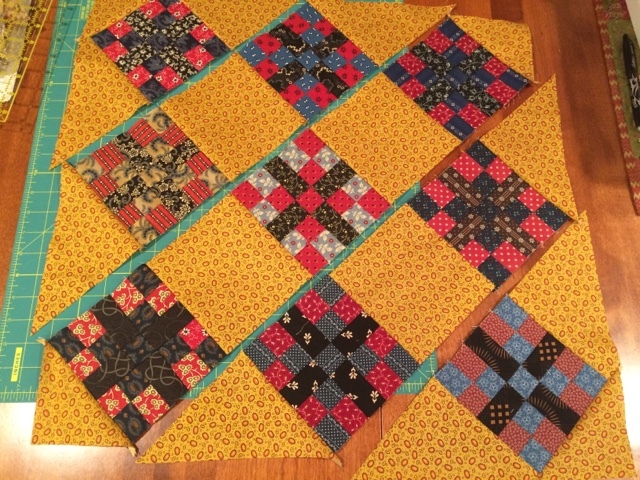 From your gold fat quarter cut four (4) 5 1/2" squares. 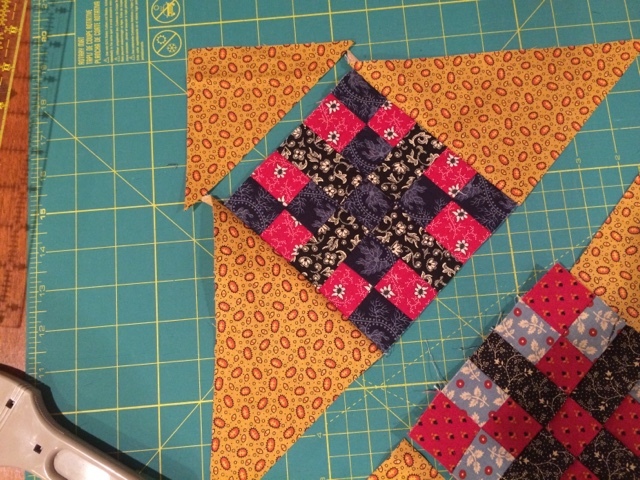 Cut two (2) 4 1/2" squares and cut each once on the diagonal for 4 half square triangles. 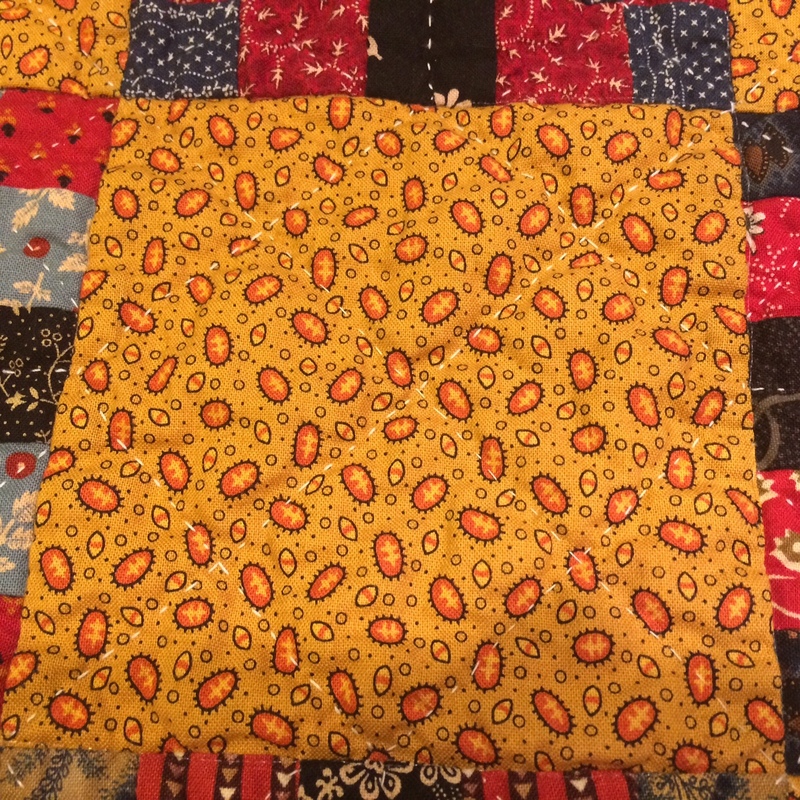 These are the four corners of your quilt. 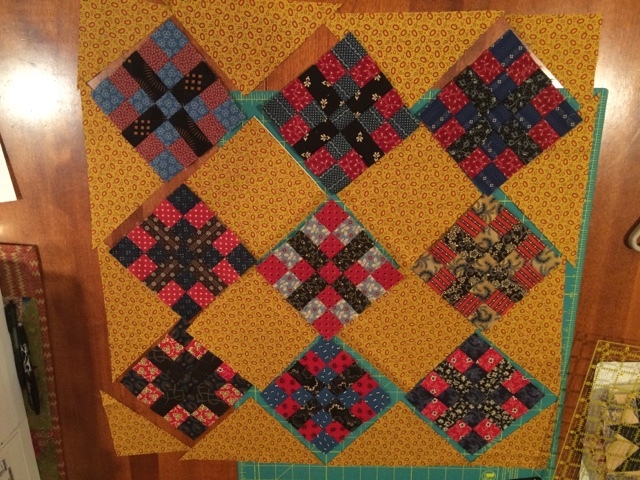 For the setting triangles cut two (2) 8 1/2" squares, then cut each one twice on the diagonal for 8 total quarter square triangles. Lay them out like the photo. Sew them in rows, as shown. 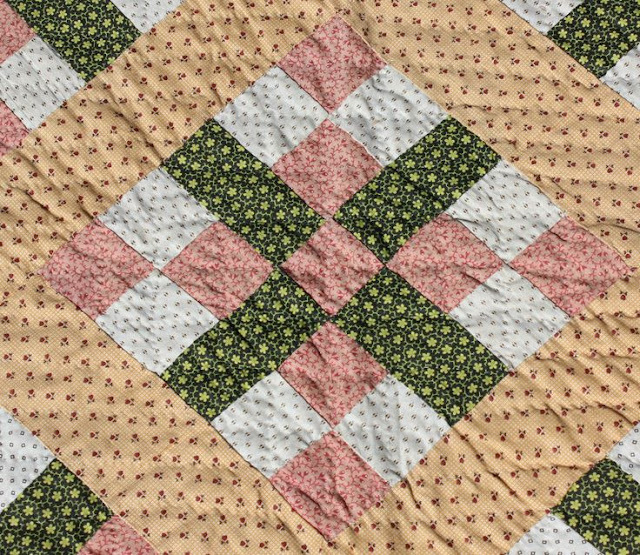 I like to sew my side triangles before sewing the corners. When assembled, hang up and admire your work! Of course if you make it larger you have more opportunities to mix it up. Instead of a red border I opted to bind it in red. My label still says Country Lane but I am going to change it. I hope you enjoyed sewing along and I hope you love your little creation!! More of my France trip, including the quilt show, on Wednesday!